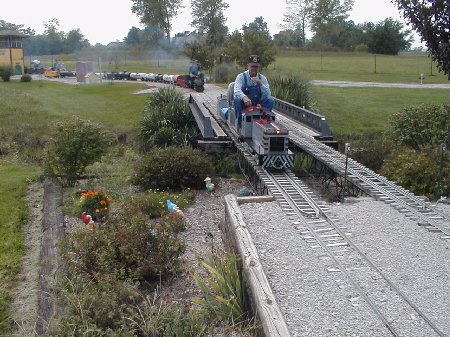 Construction of the Big Creek & Southern Railroad was begun by a group of volunteer railroad enthusiasts on property which previously included a cattle barn and pasture owned by track owner and developer, Pat McCarthy. The Big Creek & Southern's name was derived from a very small ditch that begins on the northwest side of the property and transverses to the southwest along the property line. 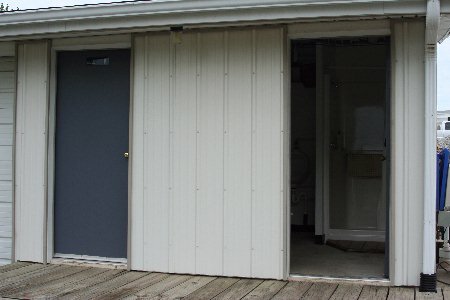 The first priority was creature comforts, so the very first construction efforts were the installation of a septic system and men's and women's restrooms. The year of 1994 was one of anxious anticipation, hard work and unbelievable major accomplishments. The initial survey of the upper loop began in March, followed by extensive grading and earthen work of the transfer table and steaming bays. 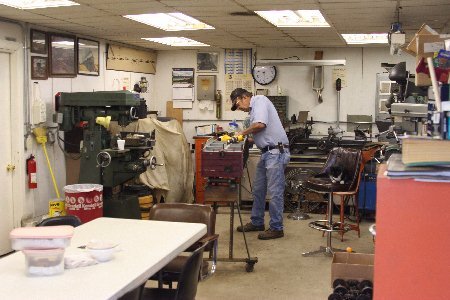 By May, the interior of the shop was completed, followed by the stands in the engine barn. 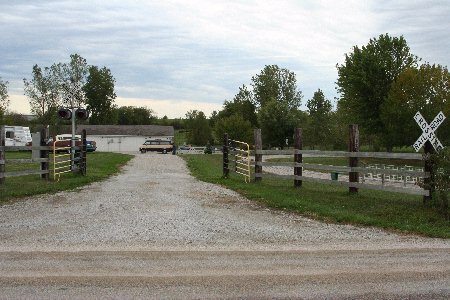 June witnessed installation of the driveway and main entrance to the property. The very first New Year's Day "Frostbite Run" was January 1, 1995. All the hard work began to come together this year. 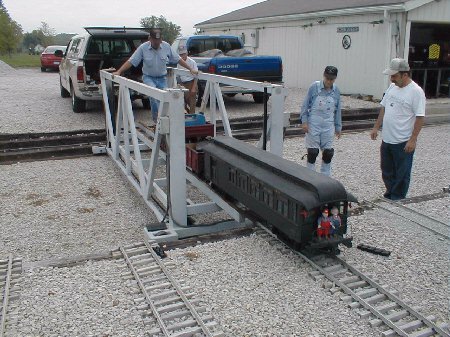 The transfer table was finished in May and installed on its rails by August. The awaited day had finally arrived. 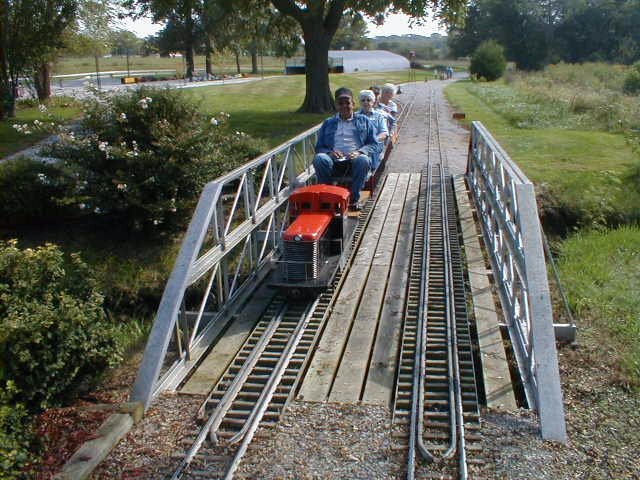 Even though the upper loop was unfinished and not yet a loop, the railroad was officially christened by the first run on September 10, 1995. The double bridge at Grump's Oil was completed on October 28, followed by the Peculiar and Sterling bridges November 26 just before winter halted construction. Much remained to be done before the railroad could be called "operational." In 1996, water to the steaming bays, Big Creek station, and Sterling were installed by April. David's Bridge was completed in June and set on its foundation on July 19. The Sterling water tower completed the major construction efforts in September. In the months during 1997 through 2000, more work was completed. Although operational, the maintenance and improvements on the railroad continued at a frantic pace with the addition of sidings, landscaping and outbuildings. 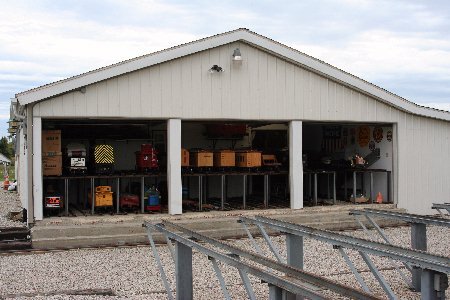 The bridge to the switching yard area of the proposed car barn was installed in May of 1998. 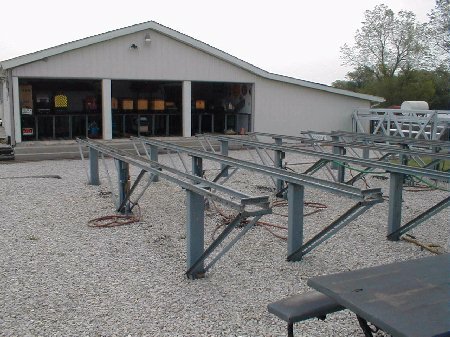 Phase I construction plans came to fruition by completion of the car barn in May of 2000. 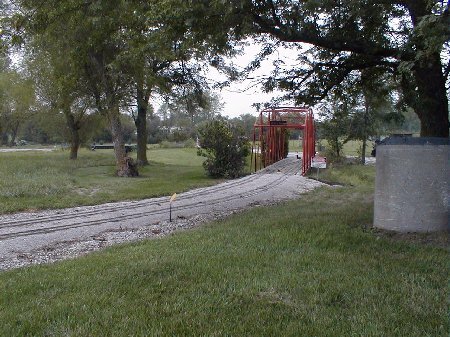 In 2003, Phase II survey and track layout was completed followed by grading and construction beginning August 14, 2004. A milestone was reached when the BC&S held its 10th Anniversary Frostbite Run on January 1, 2005. Grading for the "Inner Loop" was completed in November, 2005. With this phase, Big Creek and Southern Railroad added 3,000 more feet of mainline run. Since this is a bi-directional track this translates to 6,000 more feet of main line track plus three additional passing sidings. September, 2007 saw the opening of the newest section. The final construction phase was completed by September, 2009, 3000+ of track footage. In the summer of 2013 the Wyaconda Western (a subsidiary of the BC&S connecting at Bethel Park) was completed and a new grain elevator was constructed at the current end of track. Over the winter and spring of 2014/2015 a new industrial switch area and small yard were built at Antler Ridge by Dave Gibson and Jim Duncan. Sadly, Dave passed away unexpectedly just prior to this switching district being completed. 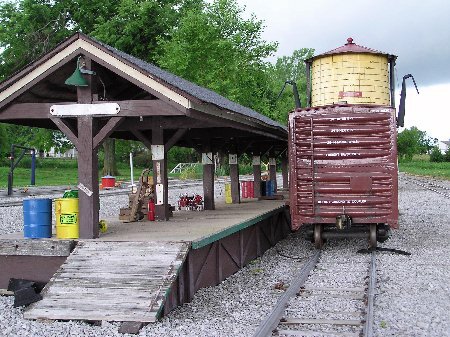 As it was his dream, it was decided to rename the town as Gibson Ridge to honor Dave's many contributions to the railroad. A new grain elevator, built by Bob Miller, was erected that summer. Additional buildings will be added soon! The fall of 2015 saw construction begun on a new business track at Peculiar which will have a freight dock, grain elevator, a brewery, and a fuel dealer. A new Wabash style depot will be placed at the west end of the newly extended siding. We hope you have enjoyed this timeline of the Big Creek and Southern Railroad. Please come back as more will be added as time goes on.